Fresh plans for a block of town centre flats are going before Bournemouth Council’s Planning Board on Monday (18th June, 2018). 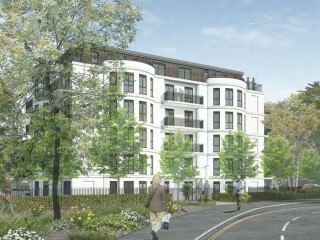 The scheme involves a six-storey building of 44 apartments replacing the Durley Road car park. It is backed by alternative parking arrangements and a package of sustainable transport measures. Since then, work has been under way on the revised proposal incorporating architectural changes and a range of parking mitigation measures and transport solutions.